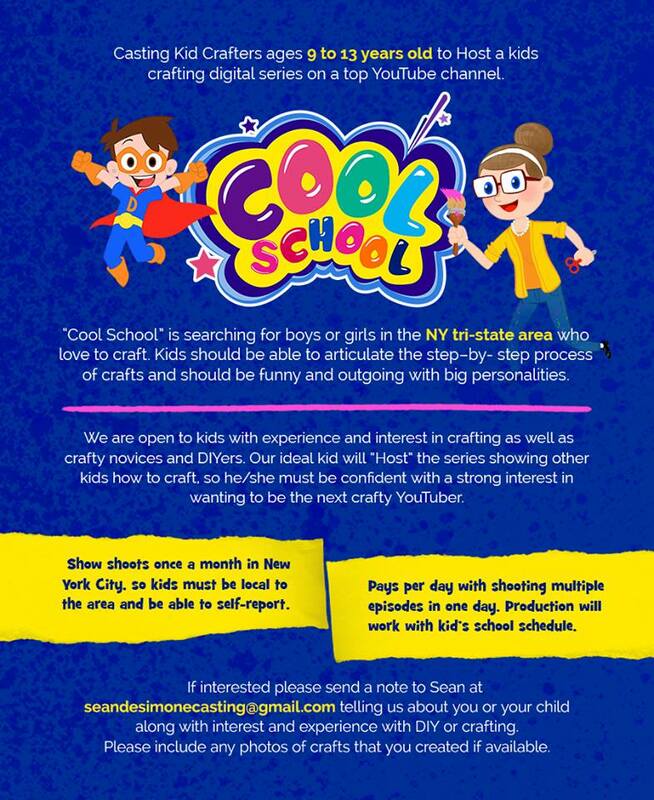 The show “Cool School” is now casting Moms with kids in the NY / Tri-State area who love their crafts. Driver Digital is looking for real moms to come in for a brief interview about our hit brand, Cool School. The rate is $75 for a 1-2 hour interview. How Cool School has been a great channel for your young child. If this sounds like a good fit for you, please submit a self tape by Monday, November 19, 2018 9:30am. The show is casting children between the ages of 9 and 13 to host a crafting show on a Youtube Channel. 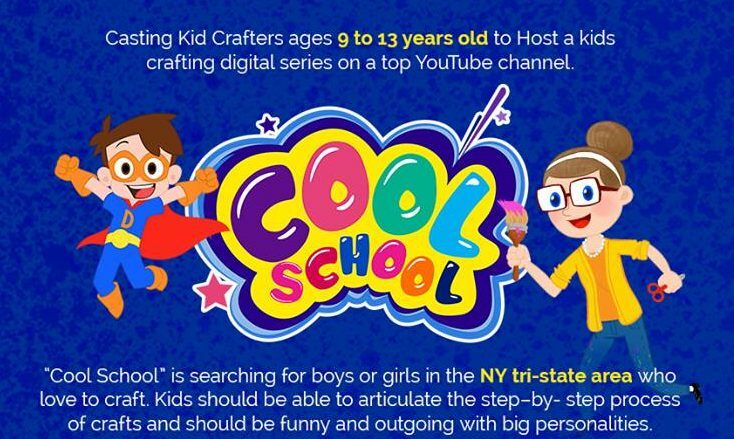 That’s right, “Cool School” is looking to cast both boys and girls who are able to explain / articulate a step by step crafting project or a process. The show is seeking kids who are outgoing, funny, have huge personalities and who enjoy crafts. Casting Crafty Kids in the NY Tri-State area. Casting directors are open to kids who have crafting experience as well as kids who don’t yet have a DIY spirit. The kids cast will be hosting a show that teaches other kids how to create some cool crafting projects. If your kids love crafts and would love to be the next Youtube kid’s crafting sensation, check out the notice below for details. The show is ONLY looking for kids in the New York City or Tri-State area.